Welcome to world of the rock band Small Town Titans off the stage. Anything goes every week! Wanna be a part of the episodes? Support the band at patreon.com/smalltowntitans and get a private stream of each episode live and chat with us! On this episode, we're talking about how we would pass time if we were stranded on tour, what it's like to try learning a new language, UFC and other sports, libraries, and more! Check it out now, subscribe to our podcast, and leave a review! On this episode, we're talking about math for some reason, Jonny recaps his eventful weekend long WrestleMania vacation in New Jersey, we talk about the trending #CancelSpotify debate, and more! Check it out now, subscribe to our podcast, and leave a review! 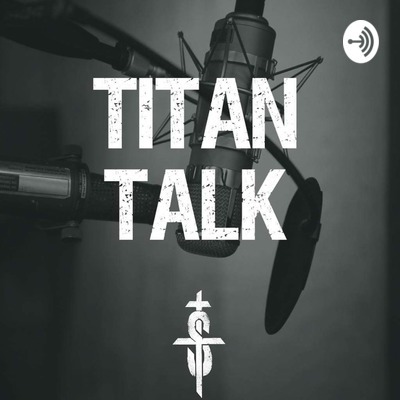 On this episode of Titan Talk, we're sitting down to hang out with our good friend Matt James, lead singer of Blacktop Mojo. We had some drinks and talked about Matt's influences, how Blacktop Mojo got started, and we have a great discussion on the art vs artist debate thanks to the "Leaving Neverland" documentary on the dark side of Michael Jackson's life. Plus we bust out the acoustic guitars to play some Alice in Chains and Kenny Wayne Shepherd! Check it out now, subscribe to our podcast, and leave a review! On this episode of Titan Talk, Jonny discusses his thoughts on "The Dirt" Netflix film (light spoilers! ), we take turns talking about our best party stories from college, and more! Plus hear an exclusive acoustic performance of our song "Amnesia". Ep 16 - Facebook and Instagram are down? Noooooo! On this episode, we talk about the social media apocalypse that happened this past Wednesday. No Facebook OR Instagram? What?? We're talking about the role of social media in our personal and professional lives, as well as the "Varsity Blues" scandal! Plus, we play an exclusive acoustic version of our song "Casting Stones Among the Wicked" you won't hear anywhere else. On this episode, we're talking about life after the gig. How the party scene is now versus how it was then according to the history books. Lots of mentions of Motley Crue's unbelievable autobiography"The Dirt" in anticipation of their upcoming movie here too! Join us! On this episode, Jonny is live from the self named Deliciously Disgusting Cafe with the Dressler family and his buddy Mike Swab. This is what happens when some rock n' roll superfans hit record after a few drinks! We're sharing stories of bands we've seen over the years, who our favorites are and why, and more! Plus here the amazing story about former Misfits member Michale Graves and the special songs he's played live for this amazing group of people! On this episode we're talking about the decline of PledgeMusic, the Fyre music festival documentaries on Netflix and Hulu, and more! On this episode, we discuss the continuing changes we are all beginning to see in our personal and professional lives, especially online. We're breaking down what we are doing lately to get the most out of our personal lives as we watch the Titan Army grow! On this episode, we're live from the green room at Club XL in Harrisburg, PA for our Brrr Fest festival! We're having a drink and discussing why we started thinking like YouTubers vs thinking like a band. Today on Titan Talk, we sit down to talk about our viral cover of "You're A Mean One, Mr. Grinch", and what it was like to be a part of the insanity. We're breaking down how and why we decided to record it, and sharing stories about our crazy December 2018! On this episode we talk about the band Queen in anticipation of the new Bohemian Rhapsody movie out now. We decided to cover their song "You're My Best Friend" and we break down why. Also we check in with our fans' live chat in our Titan Army Facebook group and discuss an important topic. Is it too soon for Christmas music and decorations? Every podcast for this entire month is being done live in our Titan Army Official Facebook Fan Group. Join the open group now at http://bit.ly/2t2uUvo and chat with us! Today's podcast topics include tour stories about beer, sh*tty shows, the color brown, and the case for legalization. Cheers! An interactive chat for our patrons. On this episode, Jonny talks about the panic attack that changed everything, Phil talks about why he's headed to the beach with his best friend, we share some stories from the Adelitas Way tour, and more! On this episode, we gather round to talk about whatever is on our minds. 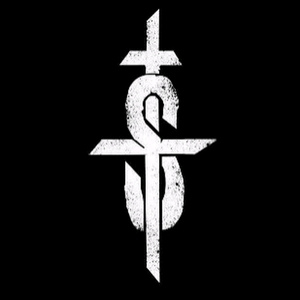 The passing of Vinnie Paul, the negative side of social media, and how Ben just can't say stuff right is all discussed. Check out our debut episode! Topics covered include our upcoming tour with Adelitas Way, Batman, Morgan Freeman, Lebron James vs Michael Jordan, and selfie quote girls.